Our products and service options are general guidelines of projects that have been successful. We focus our work around custom solutions that are tailored for your business. Basically, we solve problems. Creating a product/services list for a company that “solves problems” is tough, so we gathered a list of innovative projects that can benefit many companies. At markITbyte, we believe in a solid foundation to build your IT infrastructure upon. WordPress has established itself as the premier platform to build your web presence. Companies like NY Times, Time Magazine, CNN, NBC Sports, and many more have migrated to WordPress. Contact us to see you can benefit from the power of WordPress. 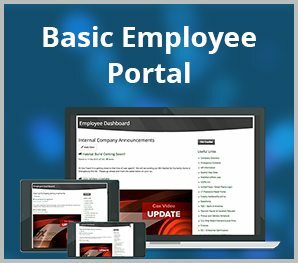 We have extensive experience delivering content/date from ERP systems to employees and customers. 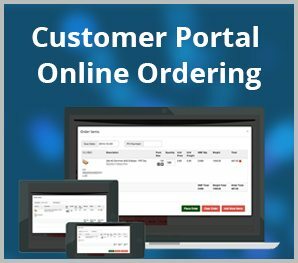 Utilizing the latest web technologies we are able to map traditionally offline date to customers and employees via web portals accessible both via desktop or mobile. 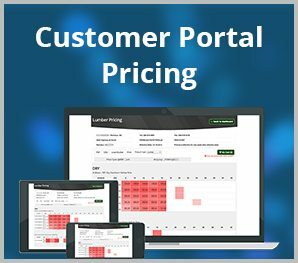 Our latest projects consist of mapping data from the lumberTrack ERP system to provide pricing, order history, and other pertinent information for customers. Also, we provide lumberTrack user employees with real-time reports on sales, margin, resource usage, and customer trends. One of our most successful applications is the easiest to use, most of your employees will not even know it is an application. Simply take a picture of your receipt from your smartphone and email it to a designated email address. The receipt along with user and date information is stored right in your WordPress installation, all manageable from a admin-only “audit” page. Although we can handle smaller clients, most of our clients are established companies with 100+ employees who have a local IT infrastructure in place with a user management system. WEF allows WordPress to talk to Active Directory and vise versa. WEF allows you to mirror that system to provide group level access on web based applets. Whenever a user logs into their web portal (WordPress), the local groups and information are synchronized with the WordPress online data. This allows for a fully featured system that can easily remove the headaches of systems like SharePoint. Today a mobile friendly site is an absolutely must and everyday it becomes more important. We utilize “Responsive Design” when creating a user friendly mobile experience for your company site. Please check out our Mobile Justification Document to learn more about how we handle mobile conversions and how important it is for your business. Here is a fun (or scary) tip: Go into your Google Analytics account for your company, under “Audience” select “Mobile” and then “Overview”. This will show you a breakdown of visitors by desktop, mobile (phone), or tablet. Click on the “Percentages” icon (right side, looks like a small pie chart), this will show you a break down by percent on each device type. As an extension of WEF we build our “Private Category” plug-in for use with Modern Tribe’s Event Calendar Pro. Our plug-in provides a way to mark specific event categories as private. For example, employee only notices are flagged as “private” so when a non-employee navigates to the company event calendar, they will only see public events. But, when an employee is logged in they will see both public and private events. Our resource management tool adds another valuable customization to “The Events Calendar” by Modern Tribe. The resource management add-on allows companies to associate resources (either people, vehicles, or other items) to events. Administration employees can book events with certain resources without double booking any resources. As they attempt to add a resource to an event the system will cross-reference all other events for those resources in that time frame. If an actual day/time overlaps, the response will return “red”, not available. If the system finds an event with that resource within two days of the new event it will return “yellow” and let the human make a decision on if it is feasible to book both events. Contact us to find out if the Resource Management plug-in would help your business. Many of our clients have collections of PDFs that are vital to their customers and employees. They include product descriptions/fliers, specification documents, procedure information, and much more. Traditionally, companies would just have a page listing all “resources” or “products”, we took this to the next level providing filter/search capabilities, automatic thumbnail generation, and meta data. The most important aspect of our PDF Library is that it turns each PDF into a Google indexed document with valuable keywords stuffed into the title and description meta information. Take a test drive, check out the Cox Industries PDF Library, test out the filtering and search capabilities, all instant and all visually appealing. Everyone knows the power Salesforce brings to the sales process, but the downside is that in many cases companies have to replicate data between their ERP system and Salesforce. This is a viscous headache you don’t know about until your stuck with it. 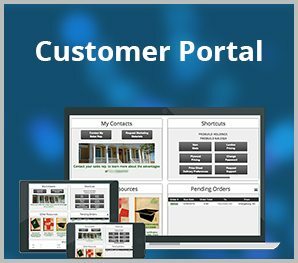 We have extensive experience utilizing SmartConnect to share data between SQL based ERP databases and Salesforce. This method can provide multi-day data synchronizations in both directions. Contact us if you have any questions or would like information on relieving your headache: Contact markITbyte.